Why buy land for sale in Newbury? 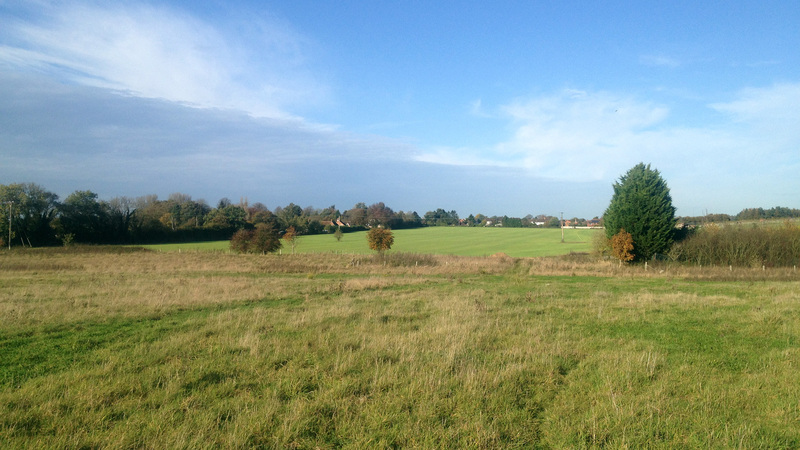 Just 6 lots are available at this desirable site in Chieveley, Newbury. Totalling 16 acres this pasture land is ideal for grazing or paddock conversion. The land benefits from road frontage and access is provided via a superb and gated private road. The land is situated in the popular and extremely affluent village of Chieveley which enjoys good local amenities and transport links. Strategically located next to the M4 and A34; London, the South Coast, the West Country and the Midlands can all be reached within an hour by car. The area is known for its links with the equestrian and racehorse industry with Newbury Racecourse located close by. The equestrian industry is a particularly important part of the local economy and the local Council states that it will support the provision of new residential accommodation in connection with agricultural purposes or the equestrian and racehorse industry where it is shown to be essential. Access to the lots is via a superb gated private road off Graces Lane. The land benefits from road frontage and full vehicular right of way is provided to all lots via an 8m easement (shown blue on the site plan). Because of Chieveley’s proximity to Newbury and Reading, and its handy access to the M4 and A34 roads, the village has been, and will continue to be subject to pressure for development. This has led to high property prices and a scarcity of affordable housing. There is a presumption by West Berkshire Council in favour of housing development in connection with agricultural purposes or the equestrian and racehorse industry, subject to consideration of the visual and environmental impact of the area, especially within the AONB. The equestrian industry is a particularly important part of the local rural economy and the Council wishes to retain and support the expansion of this industry and will support the provision of new residential accommodation where it is shown to be essential. The land is designated as Greenfield and falls within the North Wessex Downs Area of Outstanding Natural Beauty (AONB). Any development would be subject to the appropriate planning permission. Not looking for land for sale in Newbury? The land is situated is an extremely affluent area where house prices are 107% above the national average. These premium house prices reflect the desirability of the village as a place to live and own property – including land. 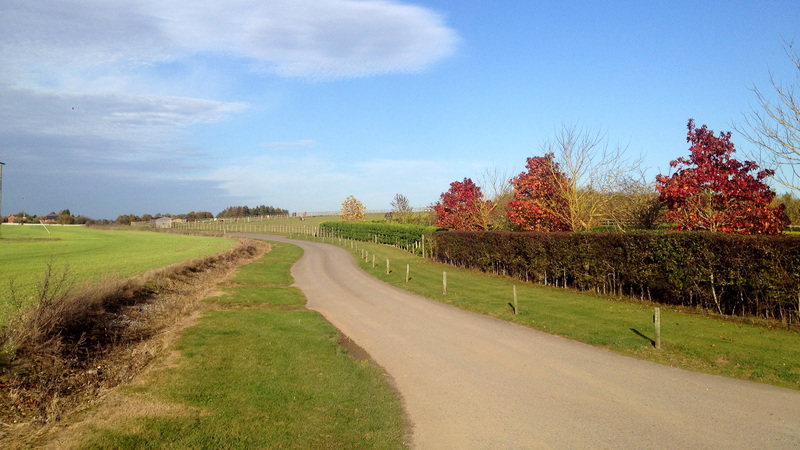 The land is situated in the popular and friendly village of Chieveley. The village has a strong community spirit and enjoys good amenities including a church, village hall, post office and general store, surgery and pharmacy, primary school, nursery and pub. Because of these facilities, its proximity to Newbury, and its handy access to the M4 Motorway and the A34 trunk road, the village a particularly attractive and convenient place to live. Newbury is the major commercial and retail centre of West Berkshire. There are many things to see and do in and around the town including a wide range of shops and facilities such as the famous Watermill Theatre, Corn Exchange, Racecourse as well as numerous cafes and restaurants. Fast and direct trains to Reading and London depart from Newbury train station reaching London Paddington – and the City of Westminster – in as little as 51 minutes. Nearby Reading is an important commercial centre in Southern England and is often referred to as the commercial capital of the Thames Valley, one of the wealthiest regions in the European Union. Reading town centre is also a major shopping centre and an independent poll placed Reading as one of the top retail destinations in the UK. The town also hosts the Reading Festival every year, one of the biggest music festivals in the country, as well as being home to the University of Reading. Chieveley is surrounded by an extensive network of local footpaths and bridleways within lovely countryside that afford good walking, cycling and horse riding. For equestrian users there is a bridleway close to the land off Green Lane. Directly opposite the site across the A34 is the 177 acre Newbury Showground. It is home to one of the biggest and most successful agricultural shows in the country – The Royal County of Berkshire Show. The Ridgeway National Trail is within easy reach to the north. It is a long distance path and a marvellous route for horse riders. Nearby Newbury Racecourse is one of the UK’s leading horseracing venues staging some of the sport’s top fixtures and offering top quality racing all year round. The racecourse is over 100 years old and combines heritage with everything a modern sporting and events venue can offer. The area surrounding the land has an extremely strong equestrian influence. The nearby villages of East Ilsley and Lambourn are most noted for National Hunt racehorse training and have trained racehorses for over 200 years. Over 1,500 horses are now stabled in and around Lambourn – second only to Newmarket – there are many major stables, varied turf and all-weather gallops in and around the village. It even has the luxury of two equine swimming pools and hospital. As a result it has been dubbed the “Valley of the Racehorse”. In 2006 the Jockey Club bought 500 acres of land in the valley, its first investment outside Newmarket. Almost everyone in the surrounding area is involved in horse racing – from top trainers such as Mick Channon and Henrietta Knight through to the saddlers and stable lads and lasses. To arrange a site visit or to buy the land for sale in Newbury; please call 01727 701330 or email enquiries@vantageland.co.uk.